If your home has insulation in the ceiling but not in the walls, you could be losing up to 50% of your heat through the walls. Insulating your walls will therefore make a huge difference to both the temperature of your home as well as the heating and cooling costs associated with it. 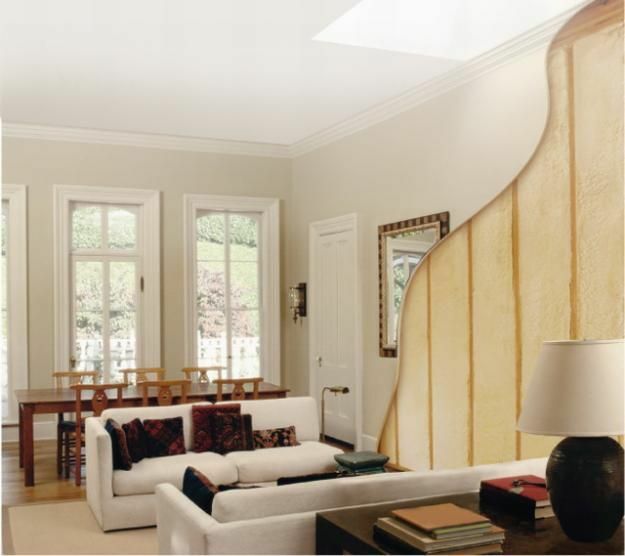 EcoFoam’s Sprayed Polyurethane Foam Insulation (SPF) provides a quick and effective way of saving energy and maintaining a more comfortable temperature inside your home… all year round. 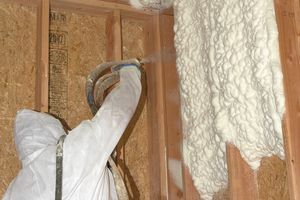 Only a Spray Foam Insulation provides a seamless air barrier which seals gaps and eliminates all drafts. This combination of air-barrier and superior insulation value creates an unbeatable system when compared to any other products or methods. So Why Choose EcoFoam SPF for your Wall Insulation needs? 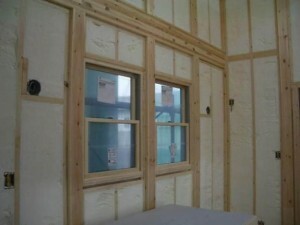 Q: When do we have the walls of our new home insulated? A: The home needs to be at lock-up stage before we can install our wall insulation. This means that the external cladding has been completed and all plumbing and electrical works are complete but before the installation of the internal wall lining. A: Spray foam insulation does not shrink, settle or sag. The sprayed form adheres to the structure and will remain in-place indefinitely. It does not decrease in effectiveness over time. Q: Are there any toxic fumes? A: Polyurethane is an inert plastic material once cured and as such, does not emit any fumes or gases. A: R value is a measure of a materials Resistance to the transfer of heat or cold. Typically, the higher the R-value, the better the insulation but not all insulations are created equal. A: We are able to supply DIY spray foam insulation kits, but these are expensive and better suited to very small projects (less than 50 square meters). In a typical house, it will generally be more cost effective for us to supply and do the spray foam insulation for you than for you to do it yourself. Your Next Steps: Call us on 1300 ECOFOAM (1300 326 362) to discuss your wall insulation needs. Alternatively enter your details for your free quote now and we’ll contact you as soon as possible.